And you can buy it now for $13.5 mil. On a quiet street in New York’s Upper East Side neighborhood sits a piece of real estate history. 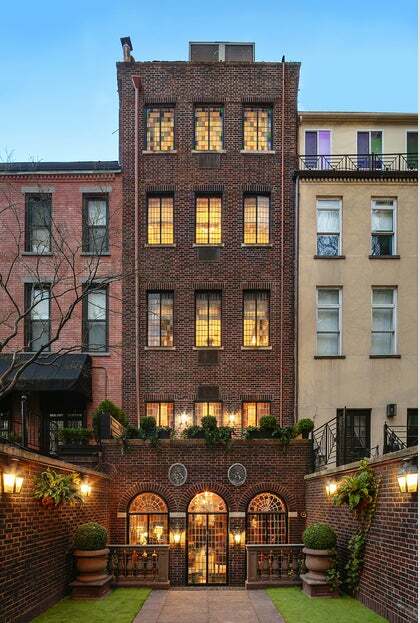 A 5,225-square-foot townhouse once belonging to Eleanor Roosevelt just hit the market, and with its recently restored interior, it’s the perfect blend of historical importance and modern practicality. The four-bedroom, five-bathroom home is listed by Stribling for $13.5 million. Considering both its storied past (the former First Lady hosted a slew of high-profile names here, including John F. Kennedy and Indira Gandhi) and its elegant interior, the price tag is no surprise. While it may push the purchase out of the realm of possibility for most people, it’s perfect for alternate uses. As the listing notes, it would make an excellent headquarters for a nonprofit organization. Designer Maria Masi gave the 19th-century property a facelift, updating nearly every room for functionality while still preserving the sophistication of the original space. Each of the five floors embodies old school luxury. On the first floor, a drawing room (yes, these exist in New York) opens into an immaculately manicured backyard. Masi also added hand-painted Iksel mural panels to the green marble-floored reception gallery. The second floor seems tailor-made for upscale entertaining. There’s a grand dining room that features one of the home’s six marble fireplaces. It opens into what is quite possibly the eat-in kitchen of our dreams: stained-glass windows, glass-doored cabinets, marble flooring, and a double La Cornue stove. The built-in table suggests a spot for casual dining—though there’s not much about this luxurious space that feels casual. On the upper floors, there are two full floors of master bedroom suites, along with two slightly smaller but impressive bedrooms. These bedrooms wouldn’t look out of place in a five-star hotel: There are built-in sitting areas, fireplaces in the bathrooms, wet bars, parquet floors, and Victorian details throughout.